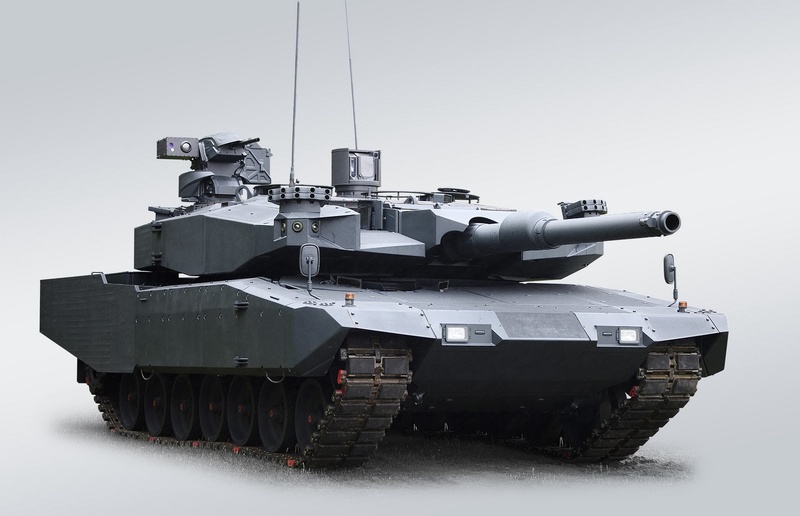 Poland has selected the German company Rheinmetall to upgrade a total of 128 Leopard 2A4 tanks to a new standard (supposedly called the Leopard 2PL). The contract has a value of a total of 2.3 billion Polish Złoty (or about €542 million). Rheinmetall will cooperate with the Polish defence industry conglomerate Polska Grupa Zbrojeniowa SA (PGZ). Rheinmetall has managed to win a contract against the German company and Leopard 2 manufacturer Krauss-Maffei Wegmann (KMW). A third bidder for the Polish contract was the Turkish company Aselsan, who offered an upgrade similar to their Leopard 2NG (Next Generation) upgrade. It is understood that Aselsan had to withdraw it's offer due to licence issues. Rheinmetall has developed the MBT Revolution, which is a modular upgrade for modern main battle tanks such as the Leopard 2. Due to it's modular nature, it's impossible to say which components will be mounted on the Leopard 2PL - however it also allows to easily incooperate Polish-made components, which was a requirement from the Polish officials. The MBT Revolution package can include additional armor modules (AMAP armor from IBD Deisenroth and Rheinmetall Chempro), optical and fire control systems (Rheinmetall's SEOSS), the improved L55 gun system, active protection systems (such as ROSY and ADS), a remote weapon station, a battlefield management system and situational awareness systems (such as Rheinmetall's SAS). The Leopard 2 Revolution already serves as base for the Leopard 2RI, a version which has been orderedd by Indonesia. The latest version of the Leopard 2 Revolution was nicknamed MBT Technologieträger and was still doing the company's own trials in August of 2015. Unlike previous prototypes, this specific vehicle was fitted with the Active Defence System (ADS, previoulsy known as AMAP-ADS), a new active protection system that provides protection against missiles, RPGs and alson against APFSDS ammunition. PS: A rendering of the new Leopard 2PL has been posted on Facebook by one of the Polish companies. The tank is fitted with the AMAP turret armor package, but lacks all add-on modules for the hull. No RWS, no APS and no situational awareness system are fitted; from the pure looks of it, the tank also still uses the old PERI R17A1 commander's sight without thermal channel. The shorter L44 gun might be retained. Dont worry, the last rendering (with old PERI) is strongly out-of-date :-) Greetings from Poland.